We are saddened to say that Chasin' Tails burned down on March 4th; thankfully no one was injured. 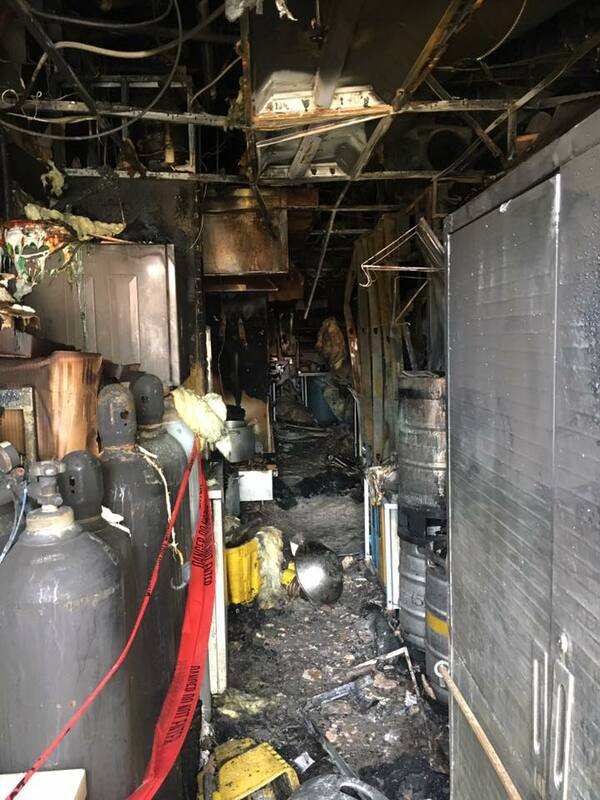 We were having our AC unit repaired and a welding mistake led to a fire that engulfed the entire kitchen, back area, and roof. The Houston and Clearlake fire department did an awesome job! They were on the scene fast and worked very hard for hours to put the fire out and prevent the fire from spreading to the surrounding businesses. We appreciate all of our loyal customers, our wonderful staff and the Clearlake community! Come in and try our new menu items featuring dishes that you can't find anywhere else! Such as our Monte Cristo sandwich, fried PB&J, blue cheese bacon wedge salad and jalapeno pepper jack boudin (made just for us in Louisiana). so come get it while it's hot. Purged, cleaned, and boiled in our secret blend of authentic spices. Served with corn and red potatoes, and brought to the table steaming hot. Our frozen daiquiris are legendary, but how can you pick one flavor? The good news: you don't have to. Order our Daiquiri Flight and try all 5 flavors. They come in pairs so you can savor them with a friend or just enjoy that second taste. We've added a new flavor to our famous frozen daiquiris. Eye Candy is a delicious Blue Raspberry made with a quality vodka. There's nothing better to cool you down after a long day! We'll bring the crawfish, you bring your appetite. Cajun food from an authentic Cajun blood line. food, friendly service, great prices, cold beer, and frozen daiquiris. Rather stay home tonight? Call for Takeout! With 14 flat screen TV’s, the NFL Ticket, and the UFC Fight Pass, Chasin’ Tails is the best place to watch the Texans, Astros, Rockets and your favorite fighters. Our Cajun roots go back generations and you can taste the history in our recipes. A number of our ingredients are sourced straight from Louisiana farmers to add to that local flavor. Come on down and try out our gumbo, boudin, and etouffee. Not in the mood for Cajun food? No problem! Our menu features a large variety of dishes for whatever you're feeling. We have 24 beers on tap including the classics you love and 18 craft beers in case you're feeling adventurous. We also feature 5 custom daiquiris kept perfectly frozen in our Chasin' Tails Daiquiri Bar. Chasin' Tails is family owned and was created by Ken and Geri Wadsworth. Both are very involved and can be found serving customers, cleaning up and making treks to and from New Orleans. You won't find a detached office making decisions here, every customer matters and we love to hear how we are doing!